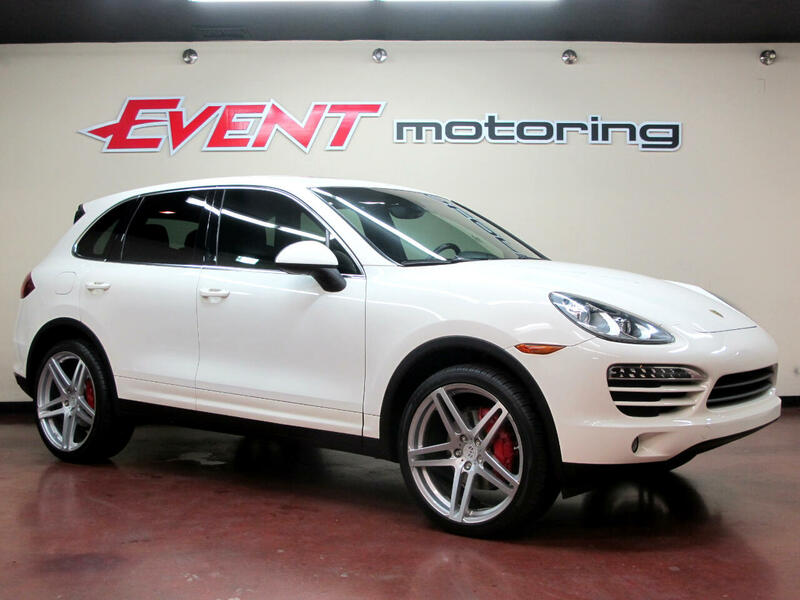 Phenomenal handling and powerful engine choices make the 2012 Porsche Cayenne one of the most fun-to-drive SUVs in the class. Test drivers said the five-seat 2012 Porsche Cayenne’s cabin feels opulent thanks to top-notch materials and outstanding build quality. The front seats are supportive, highly adjustable and there’s plenty of head- and legroom, they said. Auto writers said the back seat is also roomy. The Cayenne comes standard with a power liftgate, dual-zone automatic climate control, power-adjustable front seats, leather upholstery, Bluetooth, a 10-speaker CD audio system, an auxiliary input and a 7-inch touch-screen display. AMAZING FINANCE RATES AS LOW AS 1.99% AND TERMS UP TO 84 MONTHS!! APPLY TODAY.. ALL CREDIT!!! GOOD OR BAD!! !